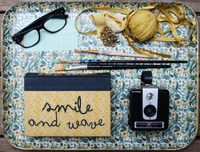 Smile and Wave: A Fun New Year's Resolution For Everyone! A Fun New Year's Resolution For Everyone! New Year's Resolutions don't have to be so serious! 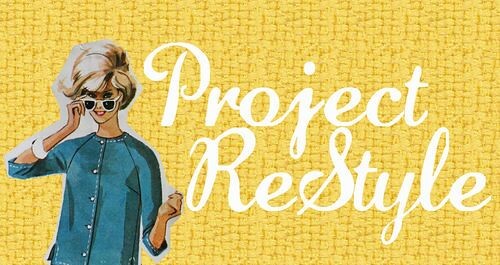 Project ReStyle is a group created by Elsie and myself to ReStyle damaged, unwanted or unusable goods into fresh, beautiful pieces! We're going to make fashion, home decor and pretty things and you're invited to join us! It's fun, it's free and it encourages green living. We'll be blogging about our projects (and sharing guest artists and participants work too!) all year in 2011. Read Details Here! We're hoping everyone will join us to encourage ReStyling within the blogging community and gain inspiration from each other's handy work so feel free to pass this along! Looking forward to ReStyling with you! I love this idea. I decorate with a lot of restyled things and seeing how other people use an item is always a big inspiration. i took the pledge yesterday on A Beautiful Mess. can't wait to get started! I am so excited about this! I cannot wait to start work on my first project and find inspiration from others! I am so very much looking forward to this! I have a lot going on in my life right now and not enough time to dedicate to a new challenge, but I'm excited to follow along! this sounds like lots of funn. So excited, this is such a wonderful idea! I need to drop into some thrift stores around here and get moving! Oh, me too, me too! I love this idea, and want to be a part of the group. I hope it will give me the boost I need to return to blogging. fantastic idea, and i love that it is all year long! This is such a great idea, I can't wait! Totally In!!! LOVE this to bits!! i´m in...and so excited about that project!!! Love this!! Can't wait to be part of the fun!! Happy New Year's! 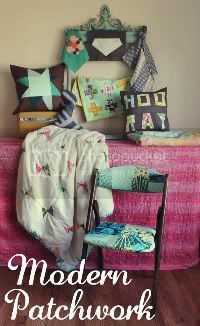 so off topic of this actual blog post - but i love your vintage sheet collections and am in such envy. trying to get some of my own and i have a (very) small start. but i was wondering if you have some tips for finding good vintage sheets, for knowing what's vintage and what's just ugly or tips for storage or cleaning and such. Basically any kind of knowledge about your vintage sheets you'd love to pass on. 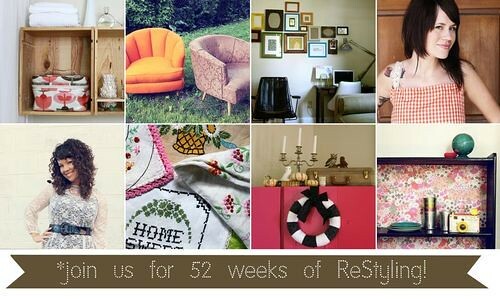 Signed on to Project ReStyle over at Elsie's blog and hopped on over here to see your online home....which has me smiling! :> Looking forward 2011 with so many creative peeps! 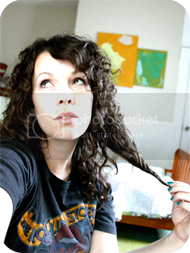 I have similar questions about thrifting/vintage like Holly. mine specifically is how to get mothball-ish smell out of sheets? it is my intention to clean them up and start on my many projects! I joined and already have submitted something! I love looking at the flickr group gallery, it's so inspiring.